Originated from AmstedMaxion, established on October 22nd, 1943, Greenbrier Maxion is formed by a joint venture among Brazilian Iochpe-Maxion and North-Americans Amsted Rail and Greenbrier. 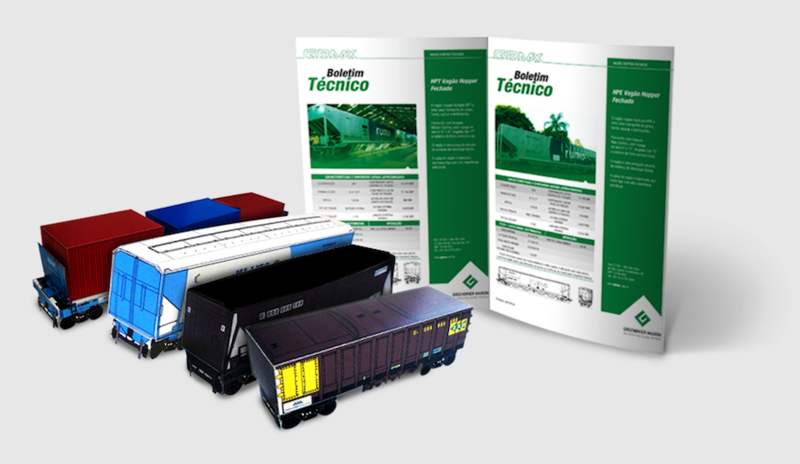 Located in Hortolândia-SP, it develops and manufactures railway freight cars and bogies, also reforming, adjusting and modernizing freight cars and their components. 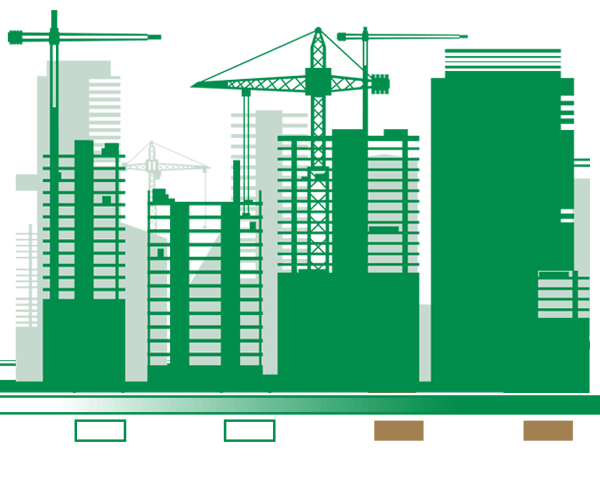 It has an accessible and efficient production capacity, with expertise in freight car design, services and leasing. 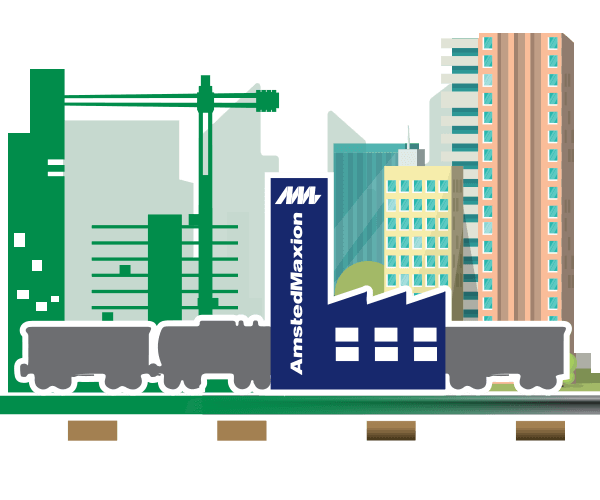 Through AmstedMaxion, a foundry located in Cruzeiro-SP, it is the top reference in Latin America in developing and manufacturing steel wheels, railway castings for bogies and draft gears, parts for machinery and equipment for the civil construction, mining and sugar-ethanol sectors. 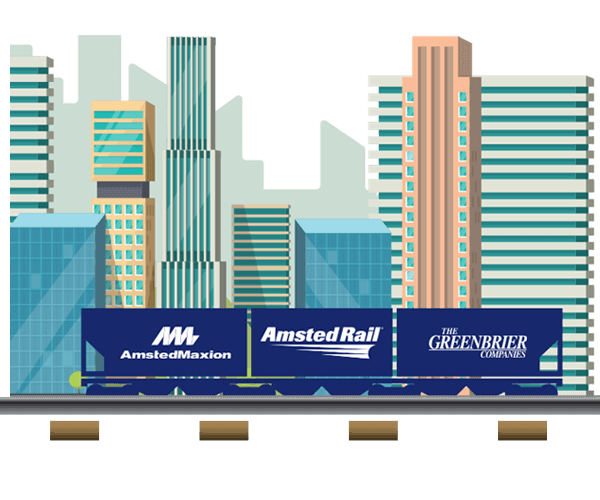 The Greenbier Maxion brand, combined with Greenbier’s expertise and technology in freight car design, services and leasing, and Amsted Rail’s expertise in components, becomes the complete and integrated solution for the railway segment in South America, with global penetration and operations. Our commitment with the continuous improvement of product and process quality, offering the best to the railway market, resulted in some important achievements. Greenbrier Maxion is committed to designing and providing products, components and services in a safe manner, meeting all customer required standards and expectations through the continuous improvement of our quality system. Greenbrier Maxion bases all their processes on the top state-of-the-art technology in their segments, with own resources and also technology transfer and expertise exchange with renowned companies. Investments in technological resources and in technical training make our team one of the most renowned worldwide, ensuring credibility and quality in their products and services. 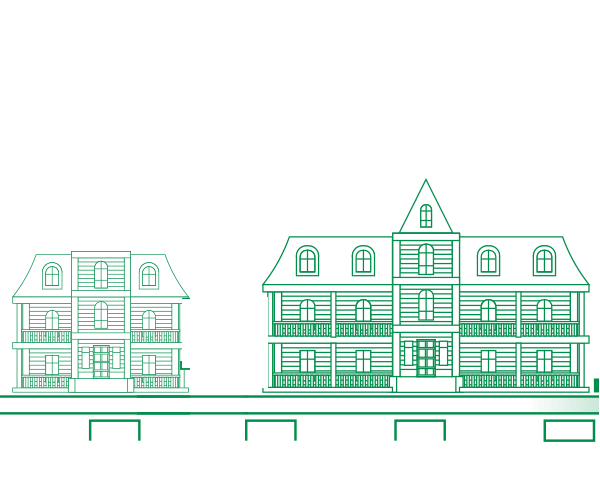 The trajectory of Greenbrier Maxion begins with the other companies that would originate GBMX in the future. To know the main points of this walk, navigate our time line. 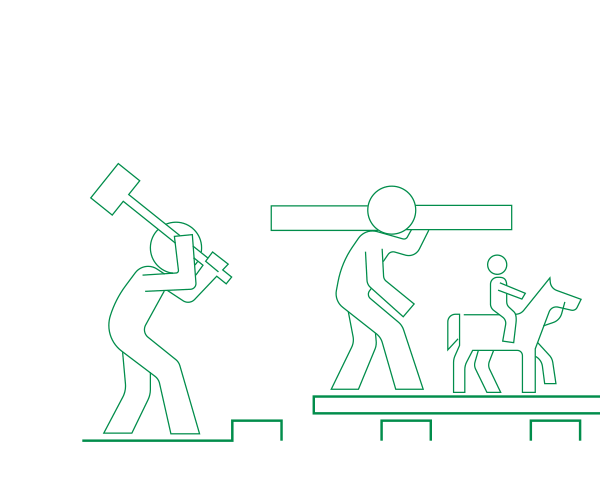 1776 - Wooden rails are replaced by iron rails, in the coal mines of Shropshire, England. 1807 - Operation on the 1st passenger railway begins: Oystermouth Railway, in England. 1812 - Use of steam locomotive with wheels and one of the toothed rails at Middleton Railway, England. 1828 - In Brazil, the José Clemente Law was enacted, authorizing the construction of roads in the country. 1830 - Liverpool and the Withstable Railway, England, replaced all animal traction with steam locomotives. 1845 - Inauguration of the first railway in Brazil, with 14.5km, at the bottom of Guanabara Bay. Venture of the future Barão de Mauá. 1858 - Inauguration of the 2nd railway of Brazil, Recife and São Francisco Railway Company, in Pernambuco. 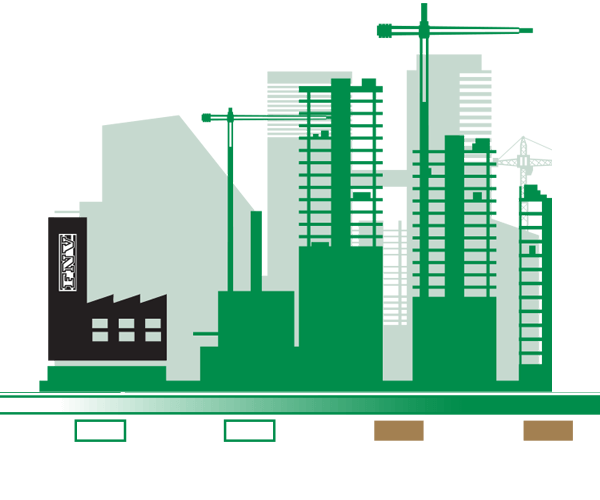 Completion of the first segment, between Rio de Janeiro and Queimados, of the future E.F Central do Brasil. 1881 - The first tram line was inaugurated in Berlin, Germany. Improvement of the electrical signaling blocking system. 1882 - I Congress of Railways in Brazil. First use of the telephone in the dispatch of trains, by New York West Shore & Buffalo Railway, USA. 1883 - Inauguration of the 1st electrified railway: Volks Electric Railway, England. 1889 - Presentation, in Paris, of the first switchgear with hydraulic drive. 1890 - Entry into service of the 1st electrified subway system in London. Beginning of the rescue of private railways by the Brazilian government. 1904 - Introduction in Brazil, by the Paulista Railway Company - CPEF, of the eucalyptus plantation technique for supplying firewood to steam locomotives. 1905 - E. F. Sorocabana was passed to the São Paulo government control, in financial difficulties. 1912 - Inauguration of E. F. Madeira - Mamoré, one of the most difficult ventures in Brazil. 1922 - Electrification of the Campinas - Jundiaí stretch of the Paulista railway, a pioneering event in Brazil. 1923 - Consolidation of British railways, with the merger of 123 companies into four large conglomerates (The Big Four). 1925 - The first US diesel-electric locomotive circulates on the Central Railway of New Jersey. 1930 - German train beats the speed record: 230km / h. Electrified the suburban lines of Rio de Janeiro, operated by E.F Central do Brasil. 1942 - Creation of the Vale do Rio Doce Company, which absorbed E. F. Vitória a Minas - EFVM, which would soon become the most important railway in the country. 1947 - Nationalization of British railways. 1949 - First application in France of continuously welded rail technology. 1957 - Creation in Brazil of the Federal Railway S.A. - RFFSA. 1964 - Inauguration of Tokaido Shinkansen (Japanese bullet train). 1970 - The RFFSA training program for the transportation of iron ore, supported by Bird, started in Brazil. 1971 - Creation of the Paulista Railway S.A. - Fepasa, by the agglutination of five state railways. 1978 - Beginning of the implementation of E. F. Trombetas for bauxite transportation in Pará, Brazil. 1979 - Inaugurated E. F. Jari to support pulp production in Pará, Brazil. 1981 - French high speed train reaches the speed of 380km / h.
1984 – Created the Brazilian Company of Urban Trains - CBTU. 1985 - Inauguration of E. F. Carajás - EFC, in the North of Brazil, by Vale do Rio Doce Co., to flow iron ore from the state of Pará. period of the New Republic, marked by the privatization of the entire national rail system. 1991 - Work began on the construction of Ferroeste, between Guarapuava and Cascavel, in Paraná, Brazil. 1992 - Beginning of construction of the initial section of Ferronorte, connecting the states of São Paulo and Mato Grosso do Sul, Brazil. 1996 - The central-east, southeast and west meshes of the RFFSA were privatized in Brazil, with the new concessionaires being Ferrovia Centro - Atlântica - FCA, MRS Logística and Ferrovia Novoeste. ((now América Latina Logística - Delara) and Ferrovia Teresa Cristina - FTC. 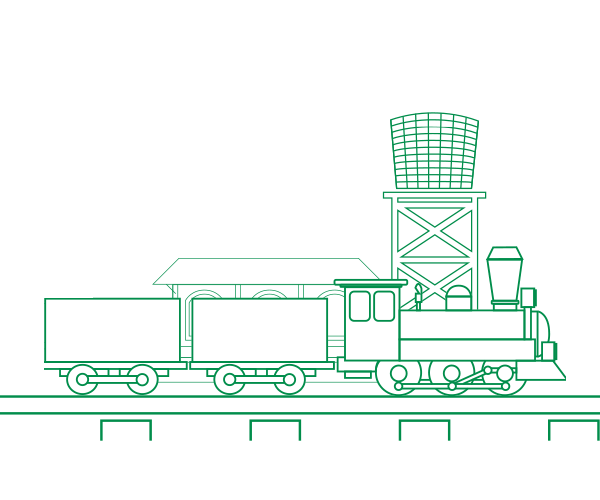 Privatized an excerpt from the state railway of Paraná (Ferroeste), assumed by Ferrovia Paraná - Ferropar. 1998 - Privatized in Brazil, the northeast and São Paulo networks of RFFSA, with the new concessionaires being Cia. Ferroviária do Nordeste - CFN and Ferrovia Bandeirantes - Ferroban. According to the Ministry of Transportation, the model of the railway auctions made during the government of former president Fernando Henrique Cardoso will be used. In it, the companies that win the auction also provide the cargo transportation service. The announcement made today by the government provides for the concession or sale of 34 projects in the areas of energy, airports, highways, ports, railways and mining. According to President Michel Temer, the package aims to increase investments to re-heat the economy in recession and stimulate job creation. The forecast is that part of these projects will be auctioned in 2017 and another part in the first half of 2018. According to the executive secretary of the Investment Partnerships Program (PPI), Moreira Franco, the governments goal is to raise R $ 24 billion with concessions only in 2017, but did not officially announce how much of this amount should be collected with the concessions and privatizations announced in this first stage. To ensure more investor interest, the government promises to reshape the concession model and provide more legal certainty. Among the changes is the extension of the period between the publication of the public notice and the realization of the auction to 100 days. North-South Railway - FNS:: The North-South Railway was aimed at promoting national integration and minimizing transportation costs, through its connections to new and existing railways. It is considered with the centralizer, that is, the backbone of the Brazilian rail system and one of the main plans for the country´s agricultural production. There will be 1537 km long, beginning in the city of Porto Nacional, crossing the State of Tocantins and passing through the State of Goiás until arriving at Estrela D´Oeste in São Paulo. In Porto Nacional, it connects to the North Section of the FNS, allowing access to the Port of Itaqui, in Maranhão, in broad gauge; and in Estrela D´Oeste will be linked to the Paulista Mesh, currently granted to Latin America Logística Malha Paulista (ALLMP), which will allow the connection of the FNS to the Port of Santos and to the economic and industrial center of São Paulo, also in broad gauge. 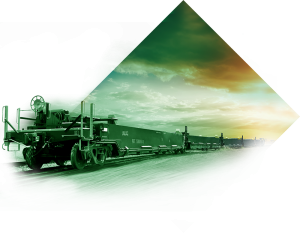 Ferrogrão: The EF-170, also called Ferrogrão, has the longest concession period, 65 years and aims to consolidate the new rail export corridor of Brazil by Arco Norte. The line will run between Lucas do Rio Verde in Mato Grosso, Itaituba, in Pará, and will be 1,142 km long, with a capacity to transport 13 million tons by 2020 and 42 million tons by 2050, at a total cost of R $ 12.6 billion.